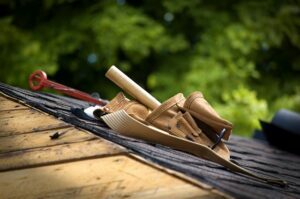 Nearly one in every five deaths in the construction industry is caused by falls from roofs,* including falling off roof edges and through fragile roofs. Skylights and rooflights can pose a particular danger. Scaffolding, guardrails and toeboards around the edges of roofs can prevent accidents and restraints and safety nets can limit or avoid injuries altogether. If you have suffered an accident at work call one of our expert and friendly solicitors on 01925 937070 for legal advice and support. Risk assessments and adequate training not provided? Risk assessments must be carried out and adequate planning and training provided to workers. Your employer has a duty to provide a safe system of work and many deaths and serious injuries could be avoided every year if proper precautions were taken and safety equipment provided. The statistics for accidents at work are truly horrifying and the impact on injured workers and their families often devastating. If you need legal advice from someone you can trust we can help. We have been running accident at work cases for over 25 years and because we believe in access to justice we run our cases on a ‘no win, no fee’ basis so there is no risk to you. Call Diane Massey on 01925 937070 or email us at info@dsmlegal.co.uk for further information. Our team have handled thousands of personal injury claims and have many years experience between them. Our office is based in Warrington with free car parking onsite and disabled access. We accept claims from across England and Wales. Speak to a solicitor for a free, no obligation chat in confidence. Whether you have suffered an injury at work, or suffered a fall from a roof through no fault of your own, we can give you the advice you need and help you to make a claim for your personal injuries and other losses. Poor planning and supervision of a task and unsafe working methods caused a worker to fall from a Youngman’s Board through a roof light, sustaining multiple fractures. The Court held that it was foreseeable that if the worker fell from the board he would fall through the roof light. The employer was in breach of their duty under the Work at Height Regulations 2005. A worker sustained arm and shoulder injuries when he fell from a roof onto a concrete floor after stepping onto a skylight. It is entirely reasonable to conclude that had proper planning taken place and safety netting or scaffolding been installed that this would have avoided the injuries suffered or even prevented the accident happening in the first place. Call us today on 01925 937070 or complete the ‘Contact our Solicitors’ form at the bottom of this webpage and we’ll call you back at a time convenient to you. Making a personal injury claim should be simple and stress-free. We aim to support you every step of the way and are more than happy to answer any questions you may have.